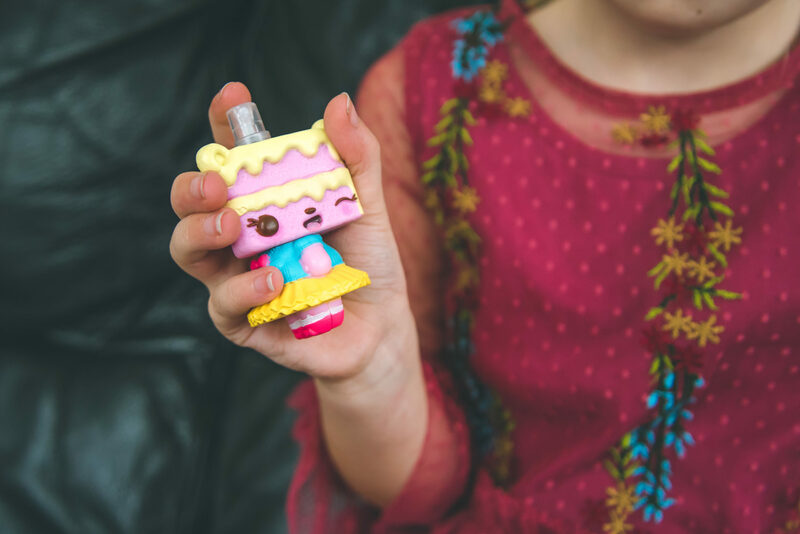 As anyone who follows my blog will know, my girls go crazy for Num Noms – little scented characters that are made to look and smell like food. 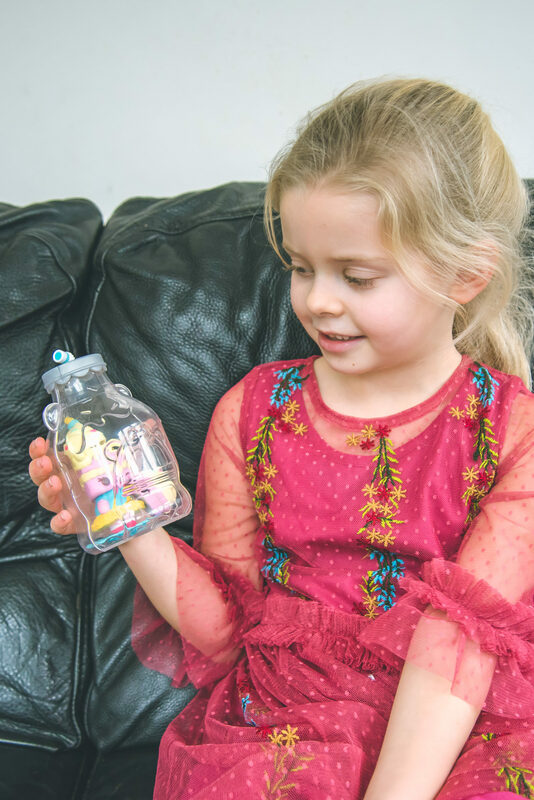 Over the years they have loved seeing how the range has developed and, as a parent, I have been equally impressed that every single product just keeps getting better and better. 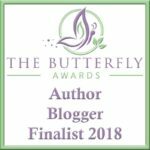 So when we were asked to review the latest product, Mystery Make Up Surprise, it goes without saying that I knew the girls would go crazy for them! 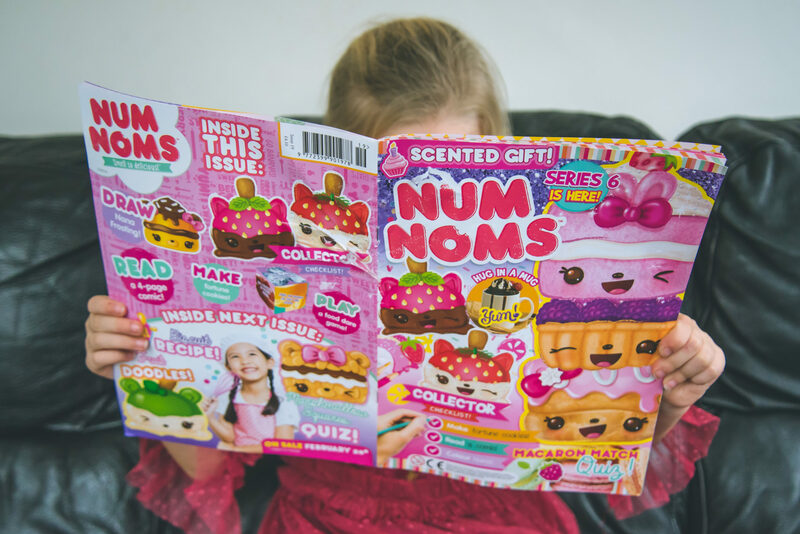 We were sent a lovely little bundle of goodies to celebrate the launch of the Mystery Make Up Surprise including the Num Noms magazine (which my girls adore!) and even some sweets which I thought was a lovely little touch. 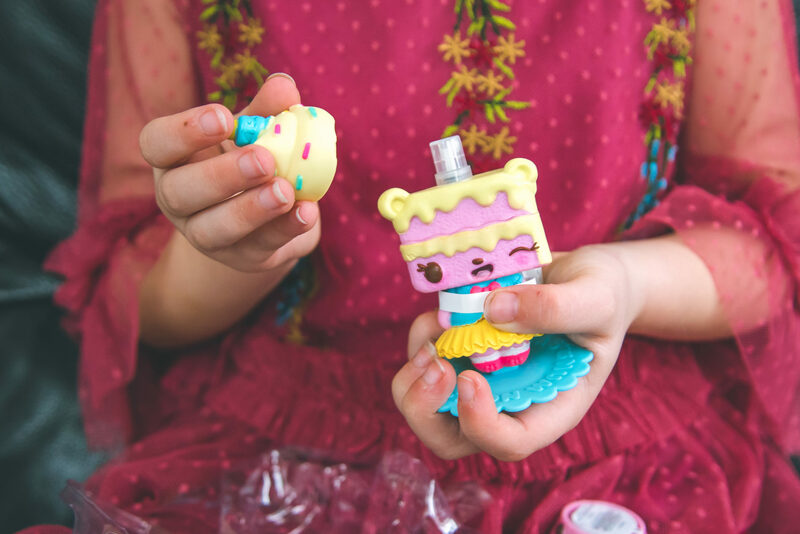 The Mystery Make Up Surprise is aimed at children ages 5-8 years, and is a fun surprise toy containing new yummy characters and a make up surprise. 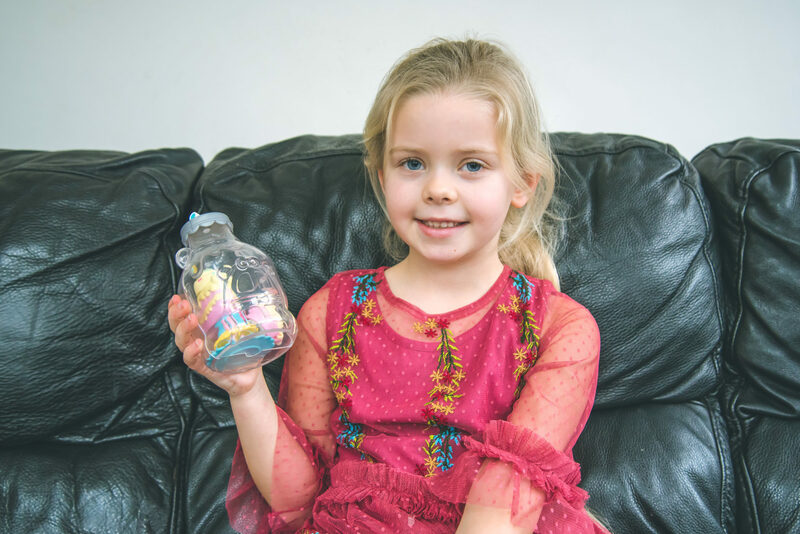 In a fun bottle container, the excitement is finding out what’s inside and as you can imagine, Eva couldn’t wait to tear it open! 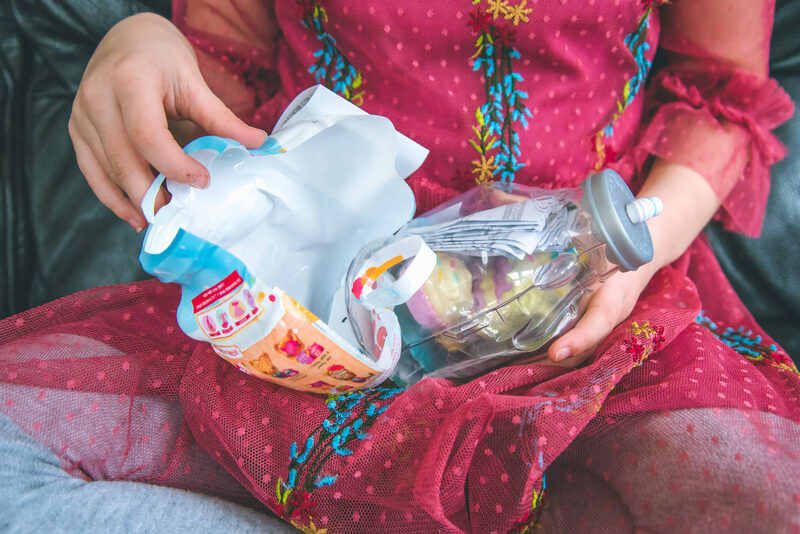 I love that when you’ve removed the wrapper there is a reusable plastic bottle container which afterwards, when you’ve discovered the surprise, can double up as a house, playset or storage. Inside each Mystery Make up Surprise you can find a nail polish, shimmer, body spray or body lotion – all are scented! 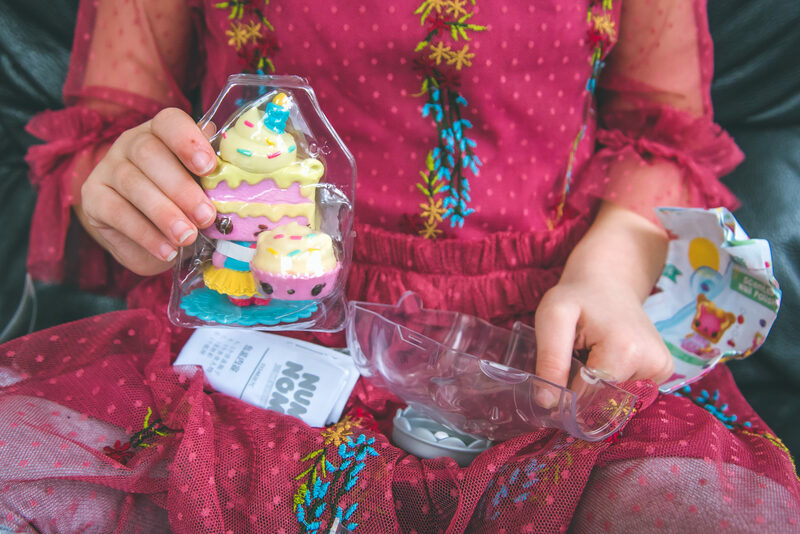 There is also a ‘Nom’ lip gloss accessory with every surprise! 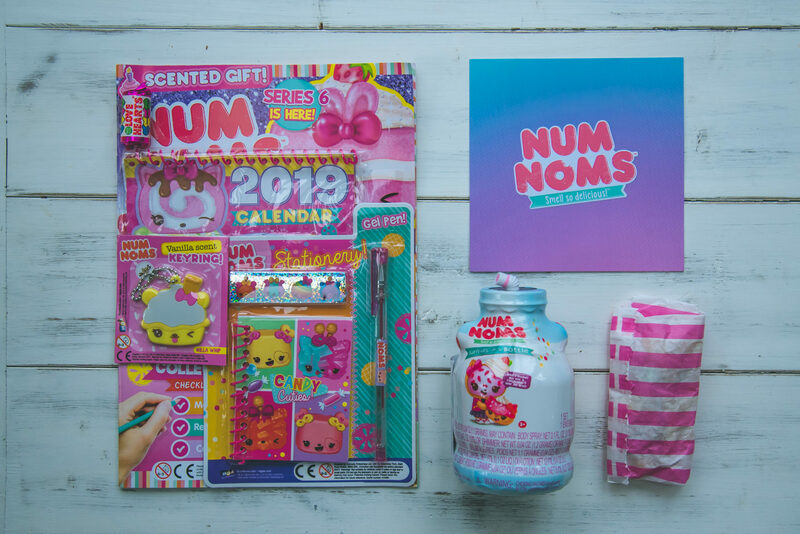 Eva was super excited to discover that she had unwrapped the perfume which came in an adorable Num Nom inspired bottle and smelled lovely and sweet and exactly as you’d expect from the Num Nom scents. Eva also got a ‘Nom’ lip gloss which always goes down well with my girls. The lip glosses always smell great and are handy for putting in a little bag, coat pocket, or school book bag, especially at this time of year when their lips get so chapped. 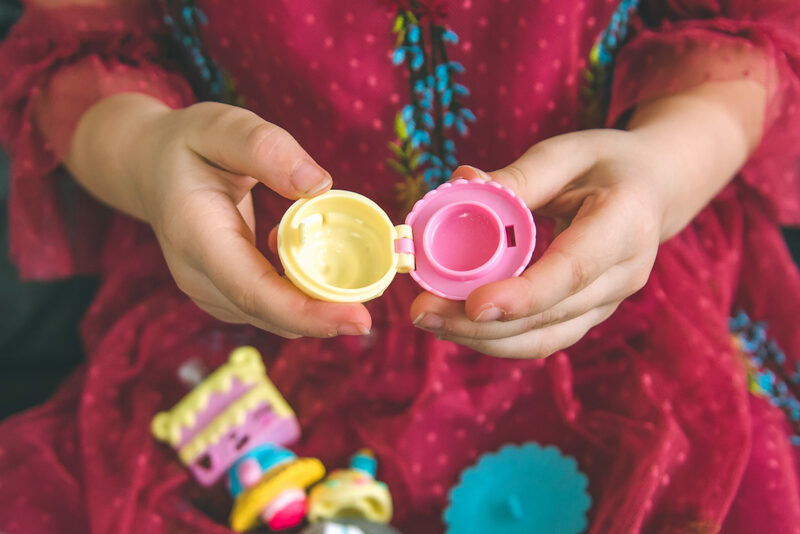 You can then put your surprises back inside the plastic bottle for storage and reseal it with the lid. 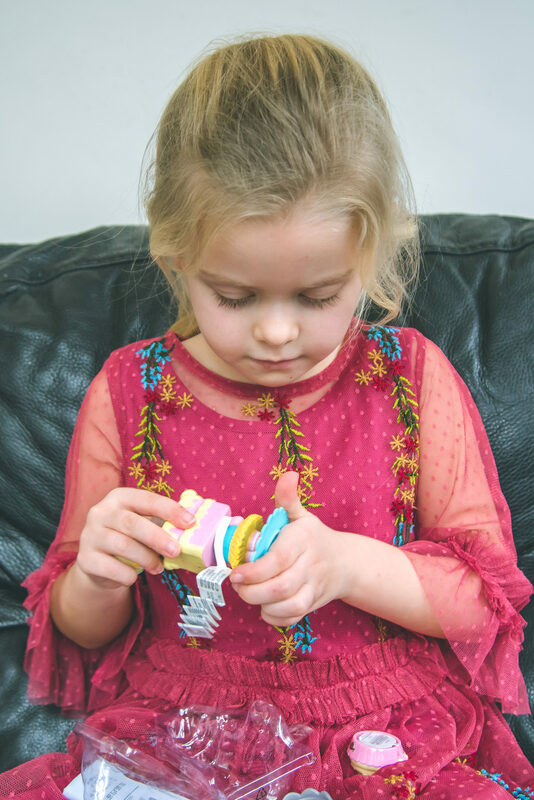 As with any collectible, my only issue is storage as honestly, these little toys can get everywhere, so having the reusable storage is a huge bonus and helps me to keep the playroom that little bit tidier! The Mystery Make Up Surprise has a RRP of £9.99 which I think is a fair price compared to other collectibles out there. The make-up products are a good size, smell amazing and, with the addition of the lip gloss, make up a really lovely set. Eva is now looking forward to collecting the Eye Shadow and Nail Polish to finish her collection. I think it’s safe to say that, although my girls go through all kinds of toy crazes, their love of Num Noms shows no sign of stopping!! Aw Ive got three boys and so have never heard of num noms! They seem like the perfect toy, Id have LOVED these when I was a little girl! I’ve never heard of these, but it looks like something my youngest would absolutely love! 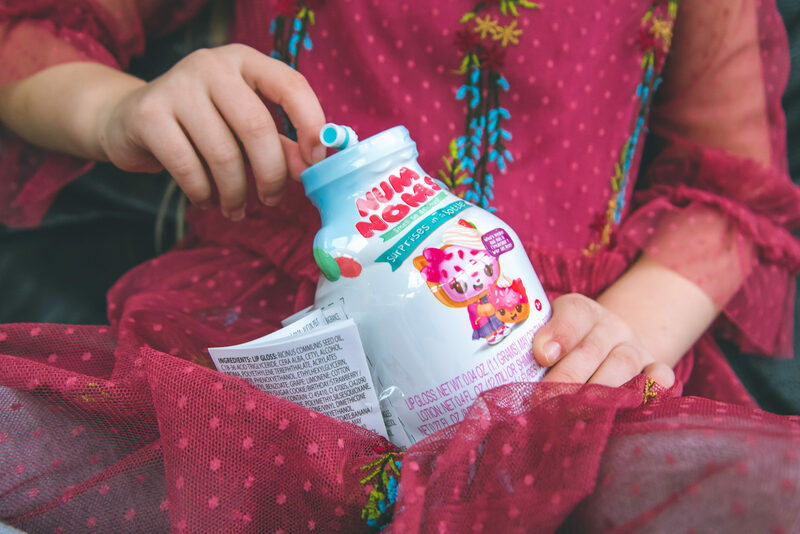 I love Num Noms too – I would have happily played with these when I was a kid they are super cute. Even though my daughter is older I even think she’d secretly love them still. 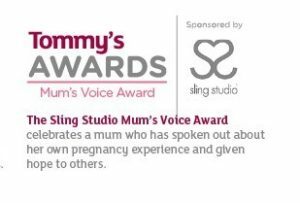 Awww these look so lovely and really sounds like your girls enjoy them! Your daughters eyes are beautifully blue as well! Melting heart. Everything looks lovely and enjoyable. Thanks for sharing this beautiful post. These are so cute. No wonder your daughters go crazy about them. I would too if I had them when I was a kid. I think that every kid in that age would go crazy for them! I am curious on how they smell! My daughter would love to try these toys. They look lovely. My Niece LOVES Num Noms! These look absolutely adorable and I would of loved them when I was little. Love that they each come with lip glosses, what a lovely touch that you always have two little treats. Collectibles are soooo tricky to store so having a bottle to keep them all in is super handy. This looks like a fun and great set!